I was flipping channels sometime this afternoon and lamenting the lack of good things on TV (as I am not a fan of either soap operas or daytime talk shows) when I happened upon THE GREATEST CHILDREN'S TELEVISION PROGRAM EVER MADE. 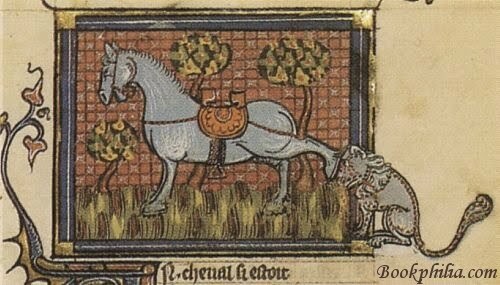 No, it was not a classic like The Flintstones or Sesame Street, although the latter was pretty solid gold a lot of the time, at least when I was a sprog. No, this is a new show and I wish for two things: 1) that this show had been on when I was a kid and 2) that I could be one of its writers now. 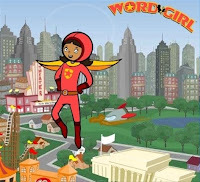 In case you haven't heard, THE GREATEST CHILDREN'S TELEVISION PROGRAM EVER MADE is a PBS effort called WordGirl. It's about a 10 year old girl from the planet Lexicon who is stranded on Earth after her space ship crash lands. Like all come-from-away super heroes, WordGirl has a human alter ego (in this case Becky) which allows her to fight evil in relative obscurity. WordGirl's main super power is her superior vocabulary. The episode of WordGirl I so fortuitously stumbled upon today featured the villain Dr. Two-Brains and his vocabulary-challenged stand-in Glen; it also featured WordGirl/Becky trying to get her hands on sufficient amounts of book-binding glue for her science fair project (oh the glorious nerdiness of it all!). Dr. Two-Brains isn't the only villain WordGirl has to out-word, oh no; there's also Granny May, The Butcher, and Chuck the Evil Sandwich Making Guy. I don't know what agendas these evil-doers have but I suspect I'm going to find out. I have totally watched this show! My daughter loves this show too! Angela: At least the Butcher is a villain and not a super hero.